JAMESTOWN – Author David Schein returns to Jamestown, NY on Thursday, April 4 to read from his novel “The Adoption” during the first installment of an Arts on Fire LIVE series presented by WRFA Radio. 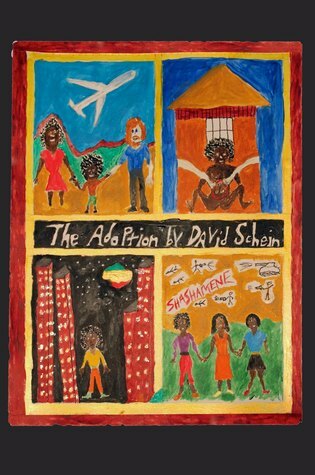 Gleaned from Schein’s many travels to Ethiopia where he co-founded with the children of the Southern Dawn Circus the One Love AIDS/HIV Awareness Theater, “The Adoption” fictionalizes the lives of children growing up in Ethiopia and the USA over the span of 20 years. The book focuses on an Ethiopian girl named Kalkidane who’s been adopted by a couple from America and later accompany her on return trips to her home country to meet with her previous family. Thus begins a relationship lasting 20 years. As the book alternates between Kalkidane’s life in Chicago and her sibling’s lives in Ethiopia, it chronicles the always disruptive visits of the American family and the gradual dispersal of the Kalkidane’s siblings from their hometown. Schein says he hopes to engage the huge Ethiopian Diaspora in the USA, and to have “The Adoption” translated into Amharic, the lingua franca of Ethiopia. He is currently on a book tour that has taken him to New Orleans and Chicago. In the fall of 2019 he will give readings on the West Coast. The appearance by Schein in Jamestown is also a return for him to a city he called home for several years when he served as the Executive Director of the Reg Lenna Civic Center and Arts Council for Chautauqua County (which merged in 2015 to become Reg Lenna Center for the Arts). In addition to Schein reading excerpts from his book in front of a live audience, WRFA Station Manager Dennis Drew will also conduct an interview. The reading and interview will be the first of a new WRFA series of entitled Arts On Fire LIVE. Building off the long-running local Arts and Entertainment radio program Arts on Fire (Fridays at 5 p.m., Sundays at 2 p.m.), Arts on Fire LIVE will be the first multimedia series in the Reg Lenna Center for the Arts’ Media Arts Studio on the third floor of the facility. Arts on Fire LIVE is planned to be a series of concerts, readings, interviews and more presented before small audiences. Most of these events will be recorded with live audiences and broadcast at a later date on WRFA 107.9 FM during the regular Arts on Fire time slot. 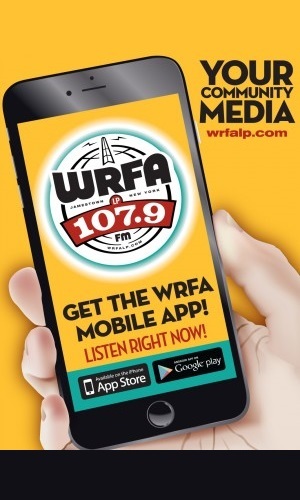 The announcement of the new live series comes as WRFA marks its 15th anniversary of being on the air. 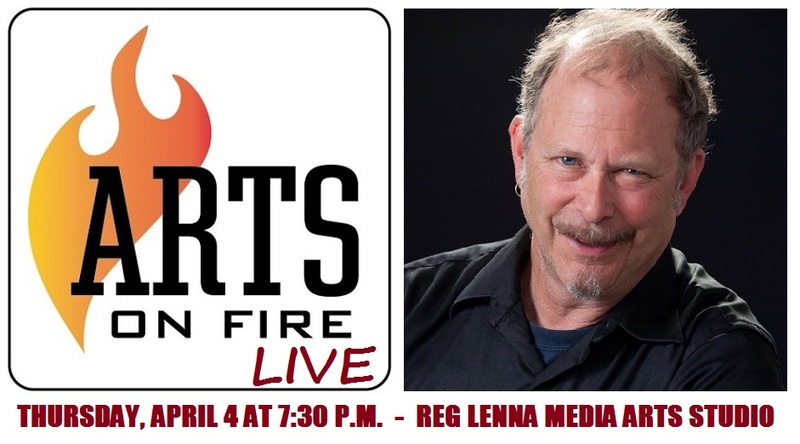 Arts on Fire LIVE with David Schein begins at 7:30 p.m. on Thursday, April 4. Doors open at 6:30 p.m. Patrons are invited to enjoy refreshments before the performance and meet Schein after the performance in the adjacent Pre-function Room, also on the 3rd Floor. 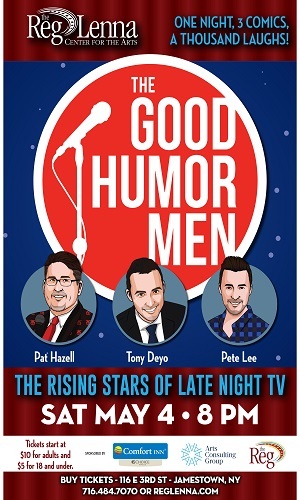 The book will also be for sale at that point. The event is free to the public but seating is limited. Those wishing to attend must RSVP by calling 716-484-7070 or sending an email to RSVP@reglenna.com. Audience members may enter the awning entrance of the building at 108 E. 3rd St. (between Forte and 3rd on 3rd Gallery) and take the elevator to 3R. “Arts on Fire LIVE” is made possible by support from Arts Consulting Group. The Media Arts Studio is possible with grants from the Sheldon, Gebbie and Lenna Foundations, Downtown Redevelopment Initiative, the Chautauqua Region Community Foundation and Holmberg Foundation.